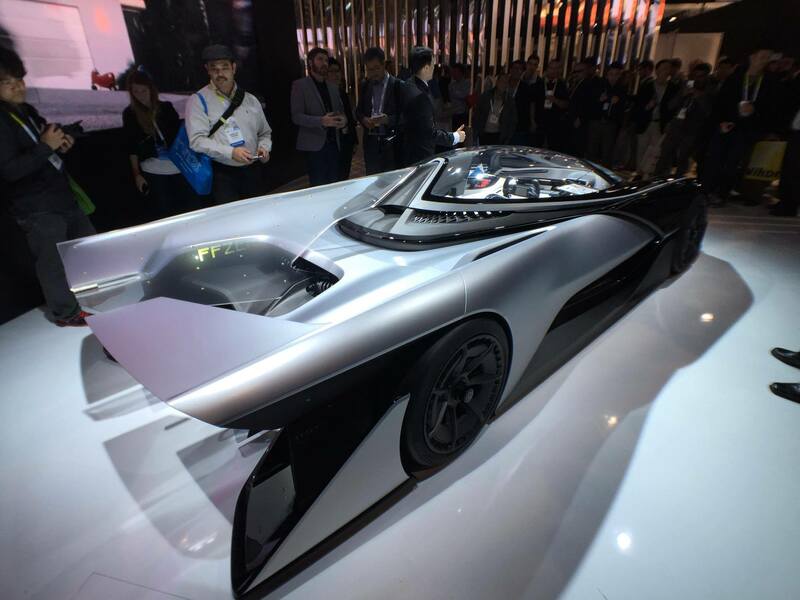 This year’s Consumer Electronics Show (CES) is underway. It is filled with the best tech gear from a number of the world’s major players, and we’re here to give you an inside look at the most innovative and interesting reveals. If you aren’t farmilar with the event, CES is where the biggest tech innovators go to showcase their latest products and designs. For more than 40 years, individuals have used the event to unveil their creations and give the world its first look at the new gadgets that are heading our way. This year, more than 3,600 companies showed up to demonstrate their creations, so saying that it is a rather sizable event is a bit of an understatement. This year, we have Eric Matzner on hand to give us a view of some of the biggest developments and best creations from CES 2016. Be sure to check back, as we will be updating throughout the event. Back in December, we told you about Fleye, the “world’s safest drone.” Now, we get to see it in action. Fleye was produced thanks to a Kickstarter campaign—one that ultimately raised more than $217,000 and successfully brought this little guy to life. As you can see in the below video, the blades are surrounded by a round shell (so you can’t cut your fingers off or poke out your eye with a sharp edge). It can be flown remotely or with pre-programmed “missions” that allow autonomous flight (hence, it is a true drone). It has a Selfie mode, Panorama, and Manual. The “manual” mode is the most interesting, as it allows users to program a route for Fleye. As far as tech specs go, it has an on-board dual-core computer and an HD camera that can shoot 1080p video at 30fps. It can also take 5 megapixel photos. Fleye is the brainchild of electrical engineer Laurent Eschenauer and aerospace engineer Dimitri Arendt, you can give it a look in the short clip below. CES 2016: Fleye, the World’s Safest Drone, in Action from Futurism on Vimeo. Ultimately, the tech uses two million micro mirrors to beam the equivalent of a 65-inch screen to your eyes, and notably, it still lets you see above and below the lenses. Thus, you can enjoy the feeling of an immersive experience; however, you don’t have to actually shut out the rest of the world around you to do so. It’s great tech to have for those with long subway commutes, and it could also come in handy for those who want to see through the eyes of their drone but still need to be able to see their hands for operational purposes. And it looks pretty futuristic too! CES 2016: Richard Kerris Talks Glyph from Futurism on Vimeo. 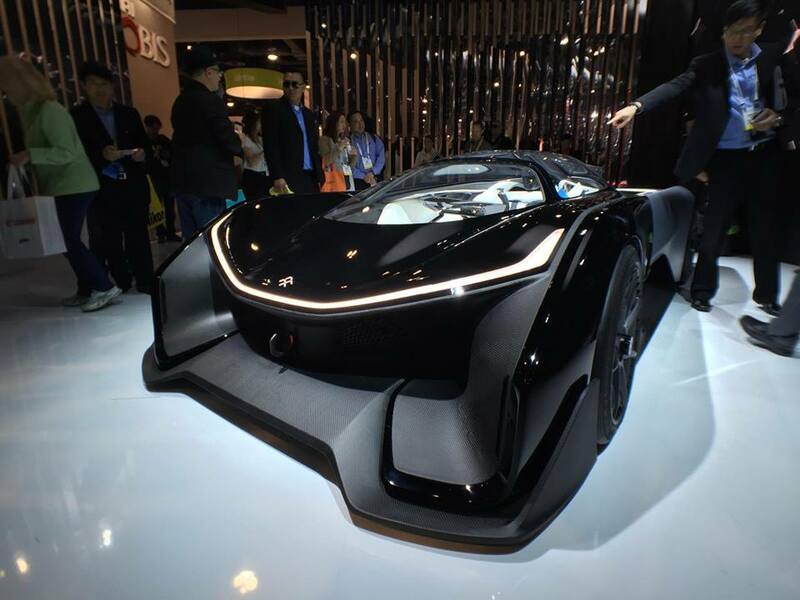 Oh, Faraday Future. 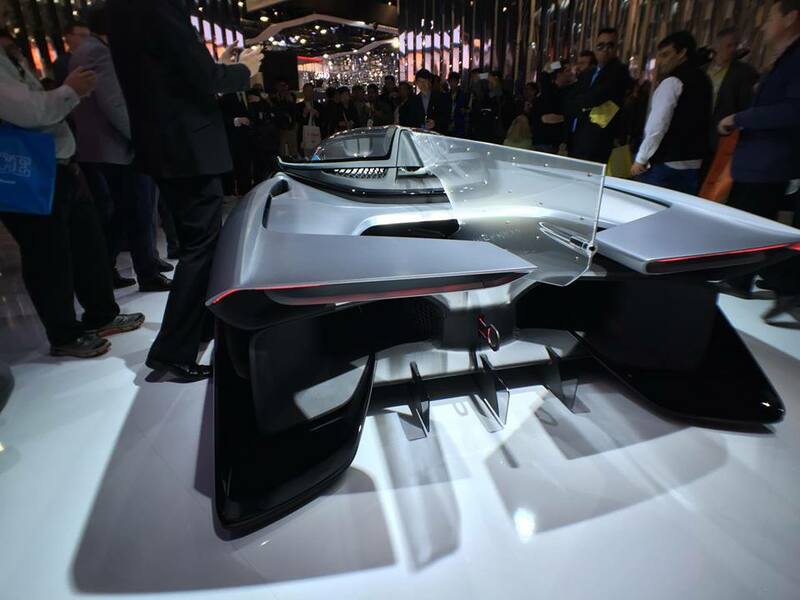 First, they accidentally leaked some images of their car a day before the actual opening of CES. But when they did release it, it looked pretty fantastic. You can see some of the images below, and as our initial report indicates, it looks a little like the Batmobile. The only problem with this is that it might as well be the fictional car of Bruce Wayne, because it doesn’t actually work. What we have here is essentially a cool looking body on top of…nothing. You see that thing on the back that looks like a tail? Yeah, it’s totally a tail. And that looks kind of cool, but why does the car have a tail? Does it help streamline the car, or is it just there for show…to help erase the fact that we have absolutely no actual information on the mechanics yet? And what about the bottom end of the car? Those fins are basically sitting on the ground, how practical can that honestly be to drive about in? These are important questions. And there wouldn’t be a problem if Faraday Future could answer them. But as this wonderfully painful interview with Tech Crunch reveals, they can’t (or at best, they won’t). The company keeps saying that part of their brand is being “mysterious,” but that is kind of starting to sound like a synonym for “we have nothing.” After $1 billion factory and $335 million in taxpayer incentives, we are essentially left with a neat looking, entirely impractical shell and no information on how the car actually works. Of course, they may have something, but it’s really starting to sound like they ran into some delays in production (which is sad, but it happens) and they didn’t want to own up to it. If you want to see a bit of praise, and more company images, take a look at the article by The Verge, and Jalopnik has a good write up on the problems, for those who want commentary from another individual but don’t want to watch a video interview (though honestly, you should watch the video. Tech Crunch does a wonderful job). 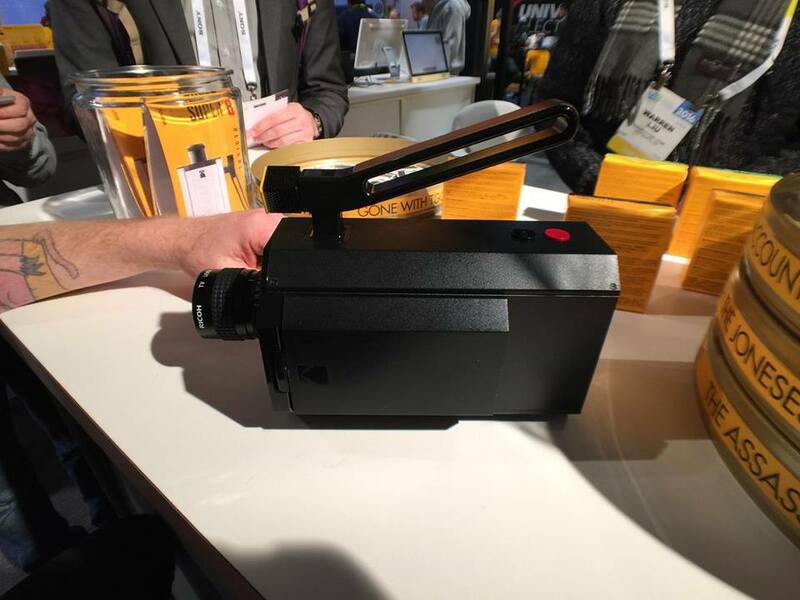 This year, Kodak revived the Super 8 with a part-digital cine camera. 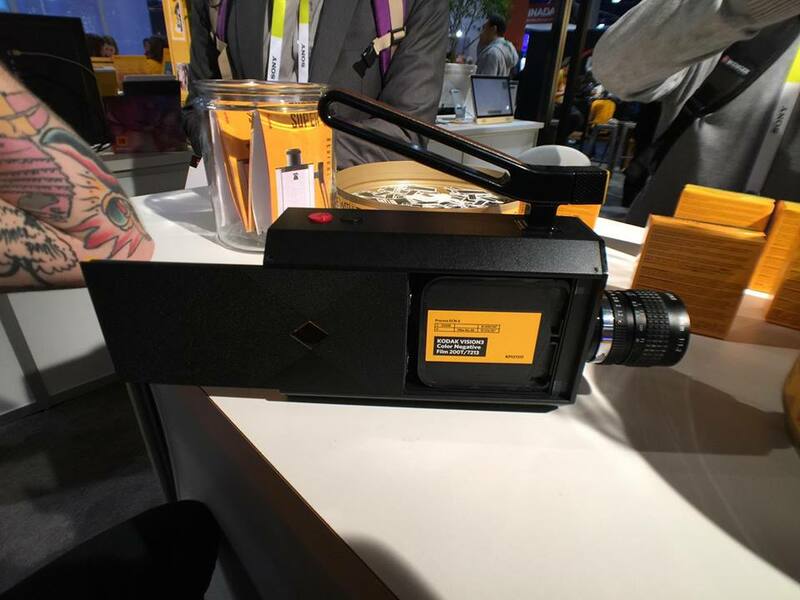 Ultimately, this is notable because it marks the first time in 30 years that Kodak is going to market their Super 8 cine camera (they last released such tech in the ’80s). Yes, this year, CES 2016 took a walk through the past. To give you a feel for the basic design, you can take a gander of some of the Super 8 cameras that Kodak had on display in the below images. The camera will come with the Super 8 film cartridges; however, it is going to have a digital LCD flip-out panel as a viewfinder. Moreover, Kodak says that cartridges will be sold with processing included, which means that customers will receive the film back as well as access to a scan of the film that they can download for more convenient editing. So for a price tag of $50-$75 in development cost, you can expect to get a film reel and a digital copy. Also, the camera comes with an integrated microphone for audio recording, it appears that sound is stored using SD memory cards via a slot on the camera’s rear (though this hasn’t been confirmed). Anyways, it’s a neat retro design that individuals in production are clamoring for. In an exclusive interview, Matzner talks with Palmer Luckey about the price of the Oculus Rift, the difficulty of balancing price and quality, and making virtual reality available to the everyday individual. GM released new information about their Bolt. It’s an electric car that comes in at just half the price of the market’s leader, Tesla. So soon, you may be able to finally snag a truly affordable electric car. Intel is heading towards transport that is actually kind of cute. They have teamed with Segway to create a robot that you can drive. Logbar introduced ili, a wearable, real-time translator that is anchored on a voice platform, so that it delivers nearly precise, real-time translations (universal translator, anyone?). Ford and Amazon are teaming together to bring together smart homes and smart cars, so you can tell your garage door to open using voice commands while you are driving. Ehang has unveiled a drone that is able to carry humans. It has a number of fail-safes, so don’t worry about your autonomous driver crashing, and it has a host of other luxuries. Kopin revealed their newest technologies in smart glass display. The battery life and voice recognition that is included could pave the way for augmented reality to become as wearable as a pair of sunglasses (finally, high-tech glasses may actually have their day). L’Oreal can tell you when you are about to get a sunburn. They unveiled “My UV Patch,” wearable technology that monitors UV exposure and works with your smartphone.